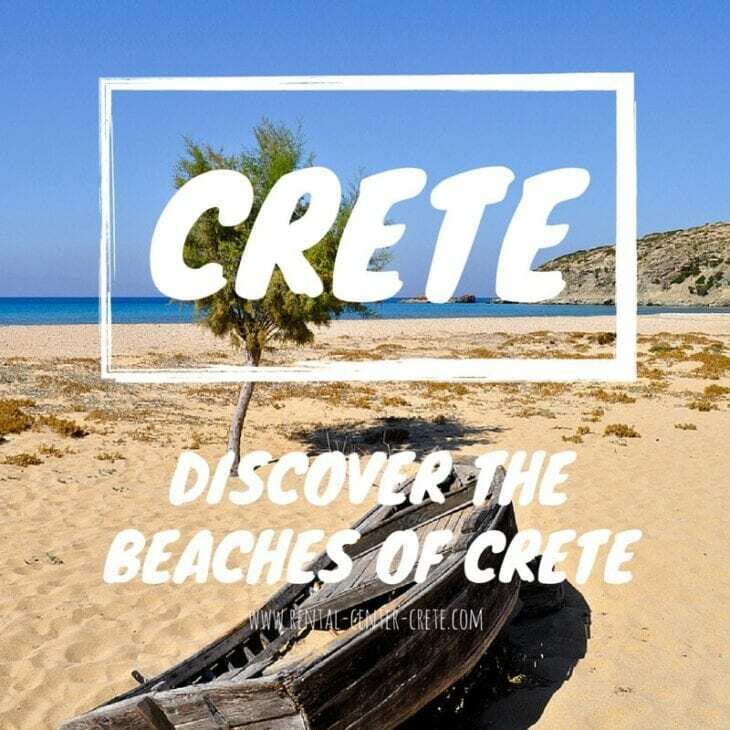 Let’s stop kidding ourselves, people who visit Crete know that the beaches of Crete is the number 1 reason they made them do it. Creating this guide was a truly difficult challenge for us. We had to choose only 16 beaches from the 300+ of these beaches. The coastline is 1046 kilometres long and Crete covers a total of 8,335 km2 of land. Check the following Cretan beaches and choose which of them you should visit. Select one, wether you need a tropical (- crowded) paradise or just a beach to hang out with your family. Explore a beach that camping is allowed or one that you could windsurf. In any case, here is the guide. Please include attribution to https://www.rental-center-crete.com/ with this graphic.